The kitchen island is the center of activity in nearly every home and stools arranged around the island create an inviting place for family and friends to come together. 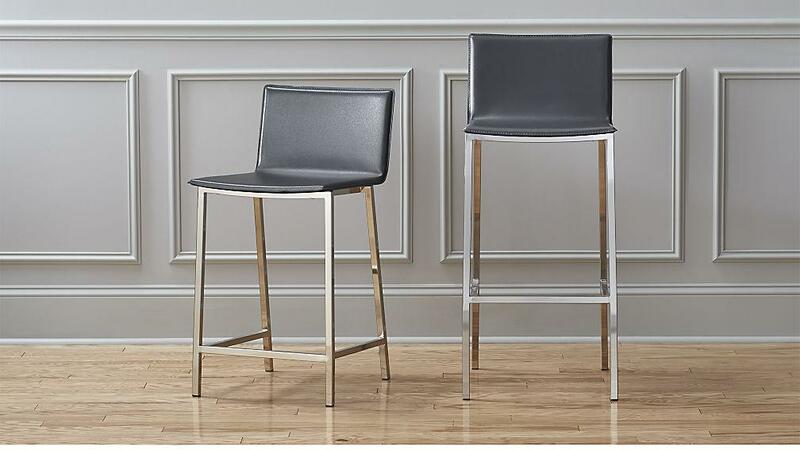 The JD Top 10 consists of two lists – stools with and without backs – and feature a variety of styles, shapes, and textures. 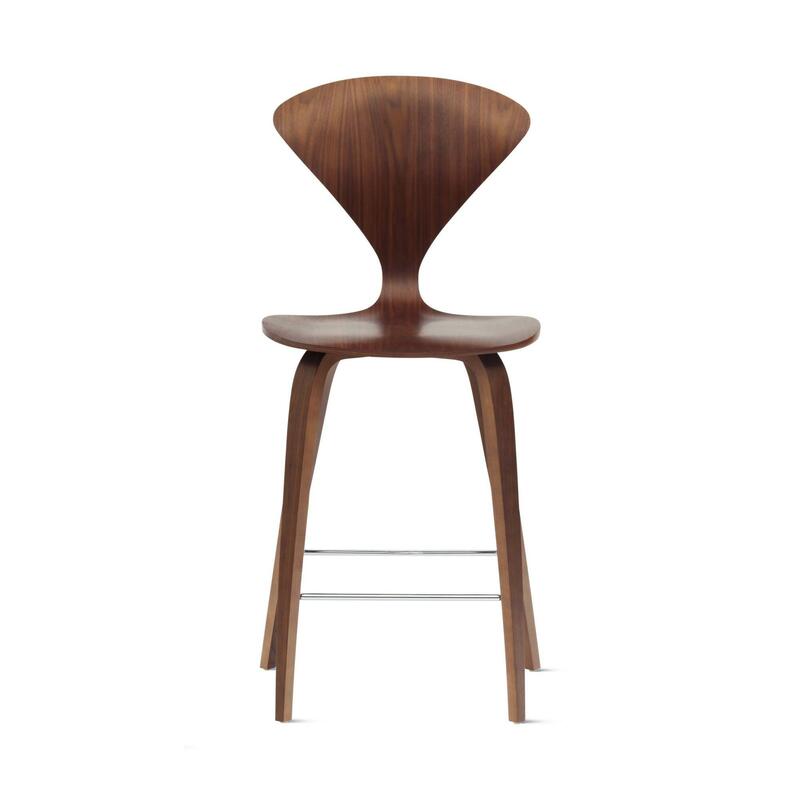 Each was chosen for its graceful lines, perceived comfort, and timeless design. 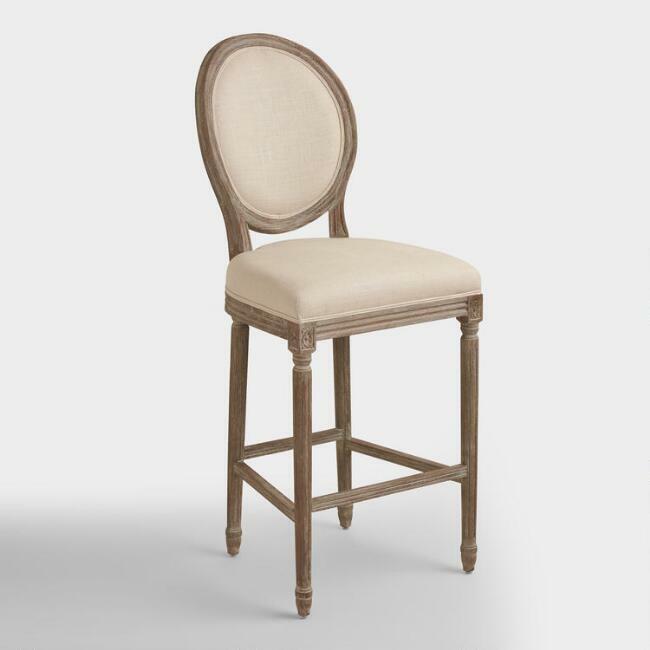 Before shopping for stools, however, it’s necessary to determine the chair height required to fit your counter. 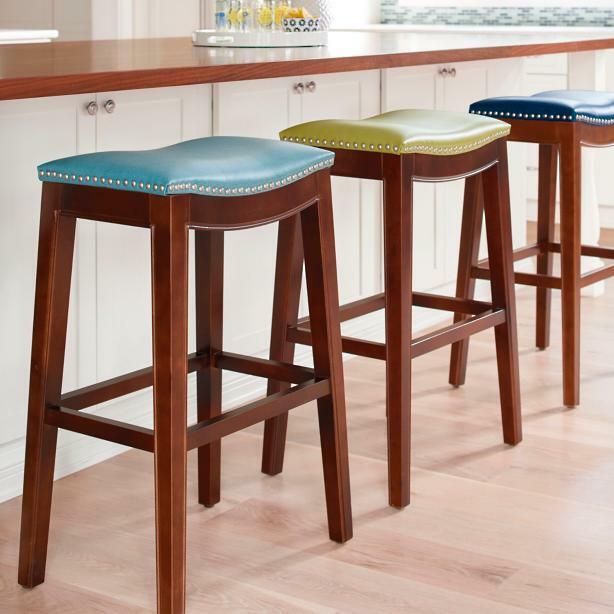 Counter stools are typically 24”-27” in height and fit most standard 36” high kitchen islands. 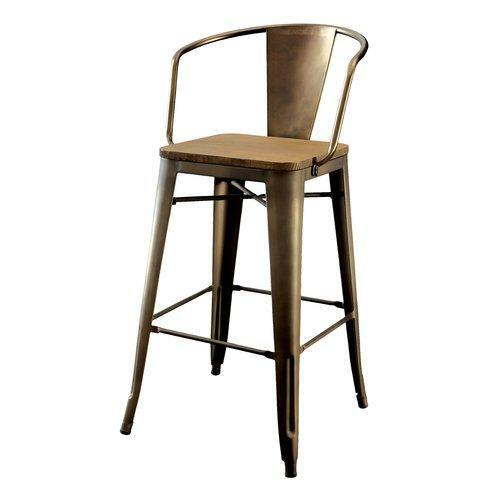 Bar stools sit higher than counter stools and run 28”-33” in height and work for counters that are 42” high. Armed with the needed height dimensions, you are ready to begin your search for the perfect perch! 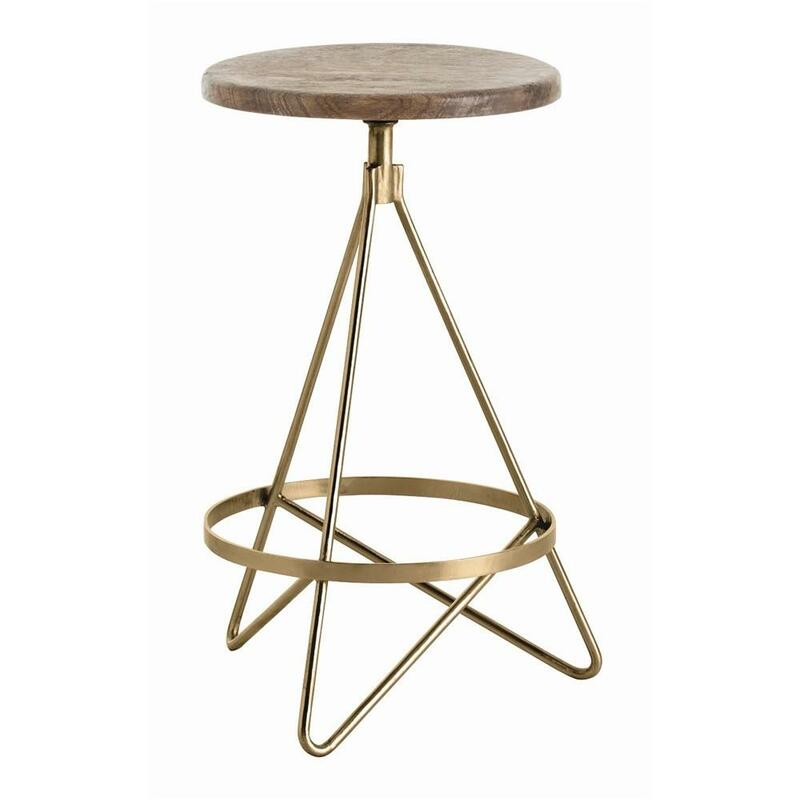 *JD disclaimer – the stools featured on the JD Top 10 list are selected for their design value and links to sources have been provided. 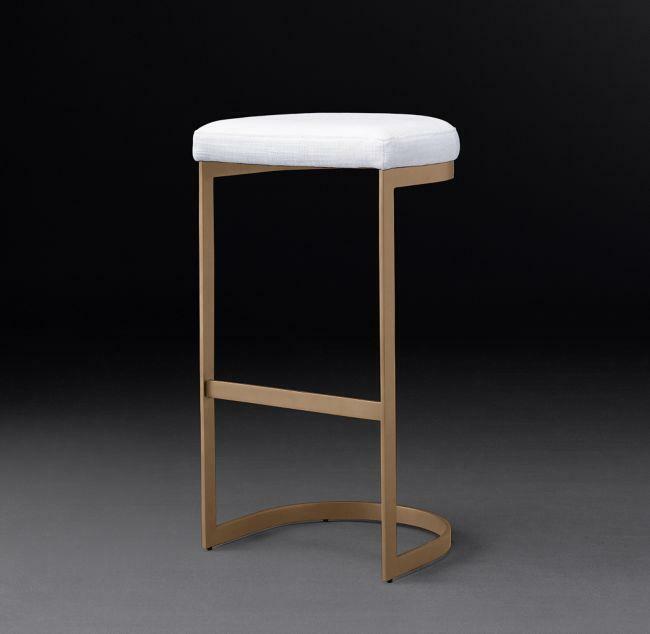 Most stools are sold at a variety of price points and we encourage clients to search for stools that serve their design and budget requirements. 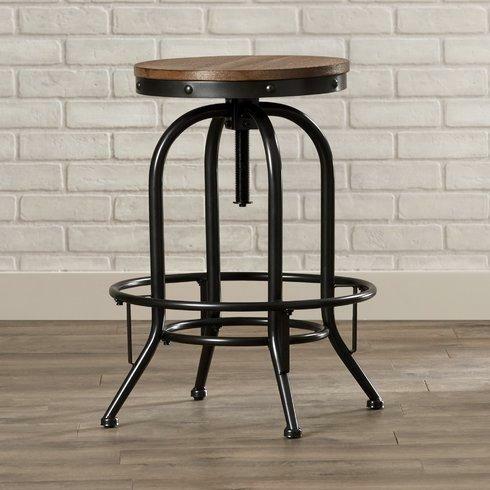 Norman Cherner’s counter stool, popular in the 1960s after appearing in a Norman Rockwell Saturday Evening Post cover, offers a perfect example of how great design can span decades. 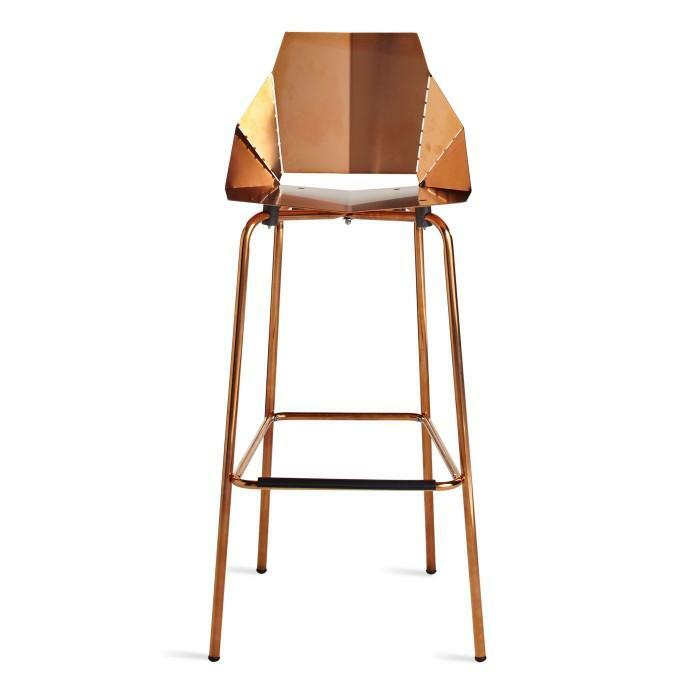 For something entirely different, Blue Dot’s fun and funky bar stool is shipped flat and folds along laser-cut lines. 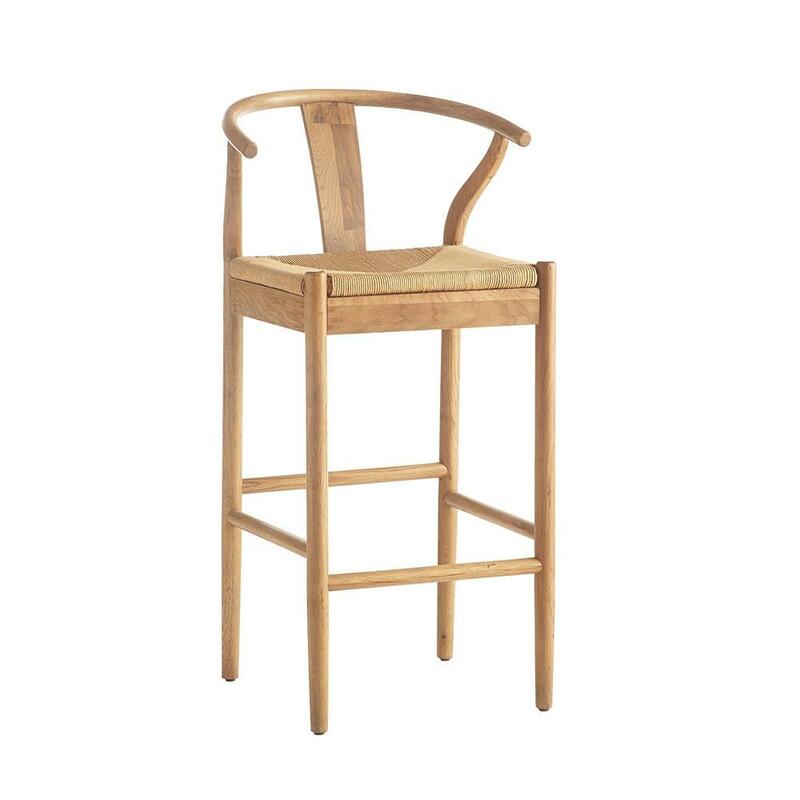 We admire the gently curved back and added texture found on the seat of this charming Danish Oak Bar seat. 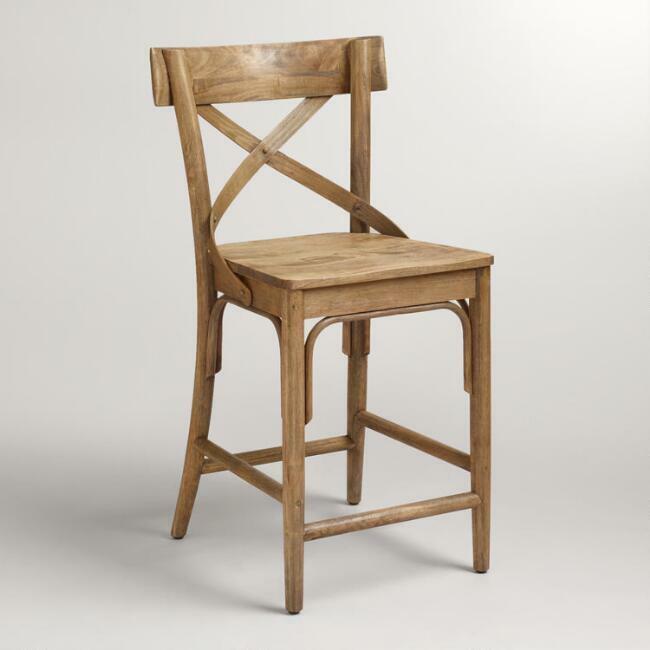 Not only beautiful, but the tall back assures a comfy place to sit. 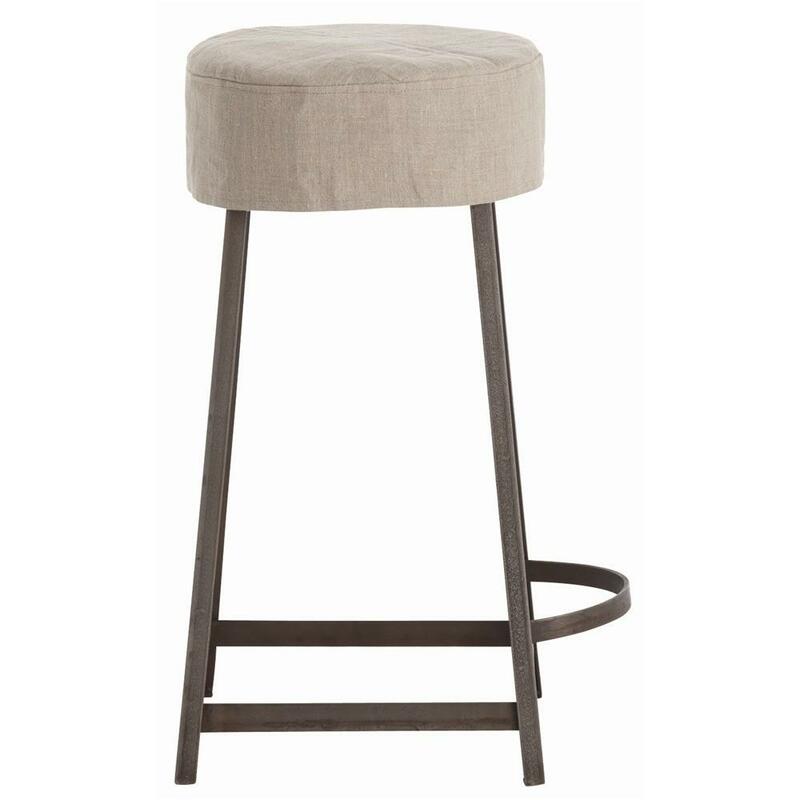 You can’t go wrong with Restoration Hardware’s French Barrelback Fabric Stool. 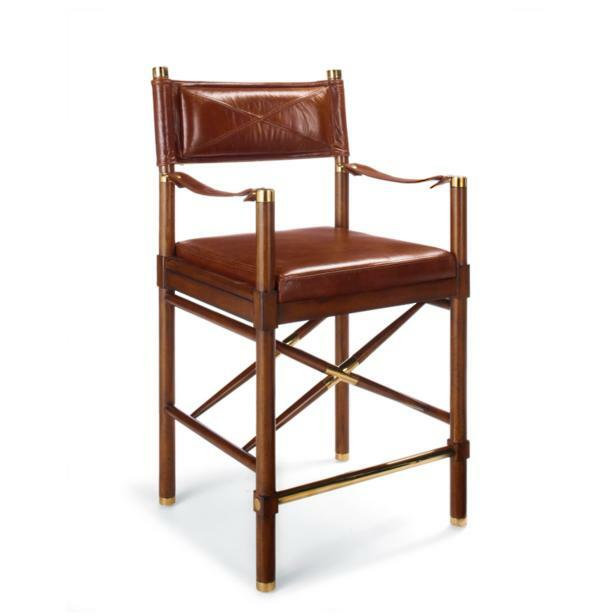 The handsome, dark leather featured on this chair suggests luxurious comfort. You can image lounging in this chair all day! 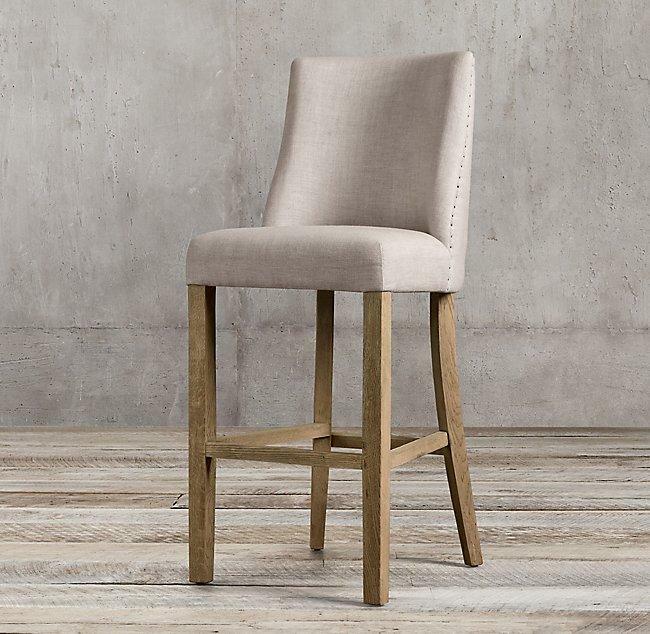 Fresh and adorable, we love All Modern’s Cogdill Bar Stool. 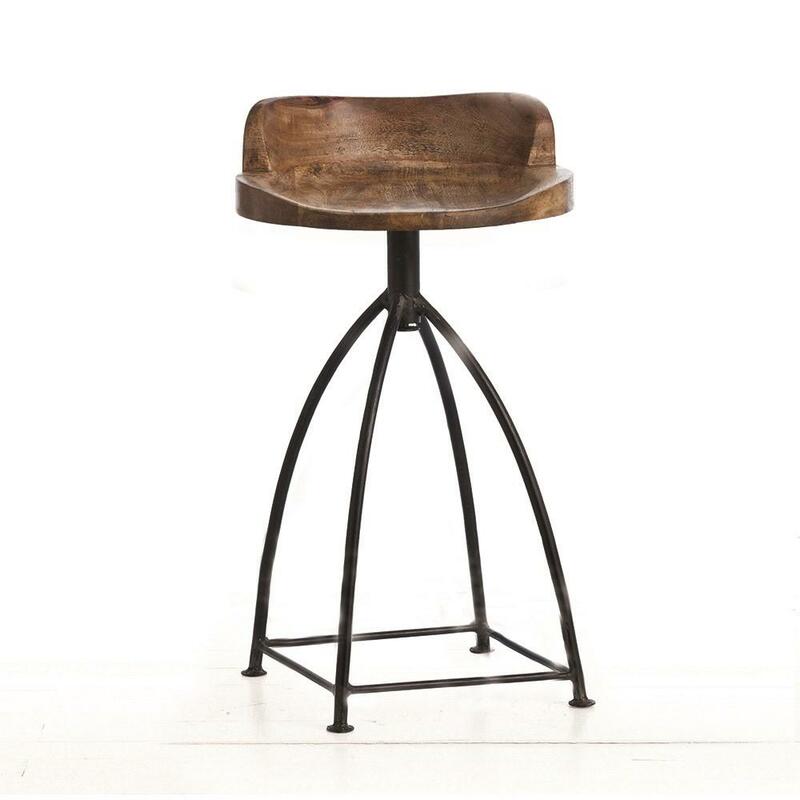 This stool is sublime in every detail. 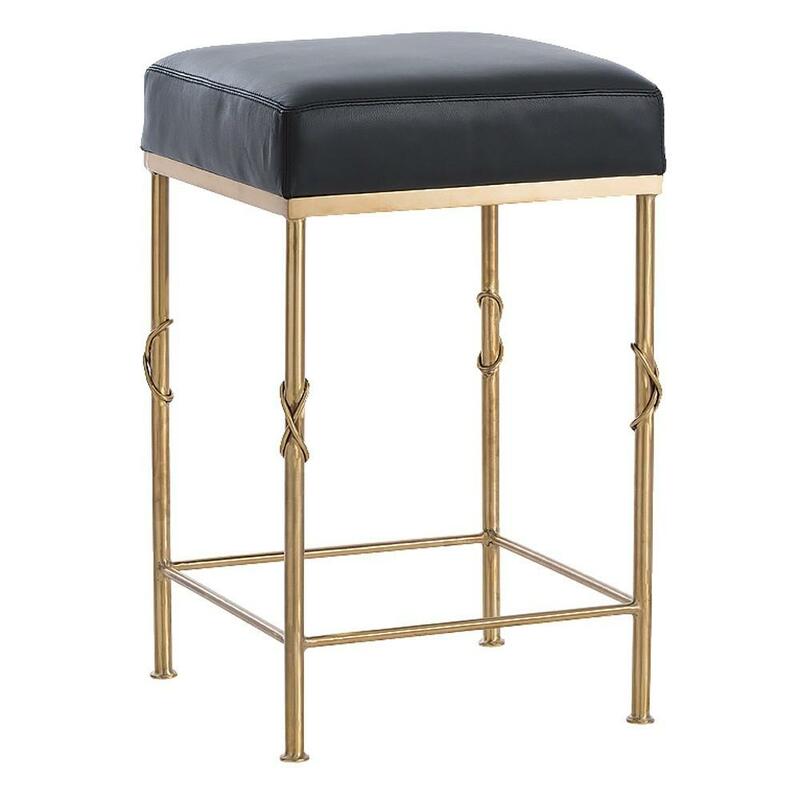 The sumptuous black leather works beautifully with the antique brass finish. The low arms and back allow the chair to be tucked neatly under the counter. The padded leather looks so inviting, how can you resist taking a seat? 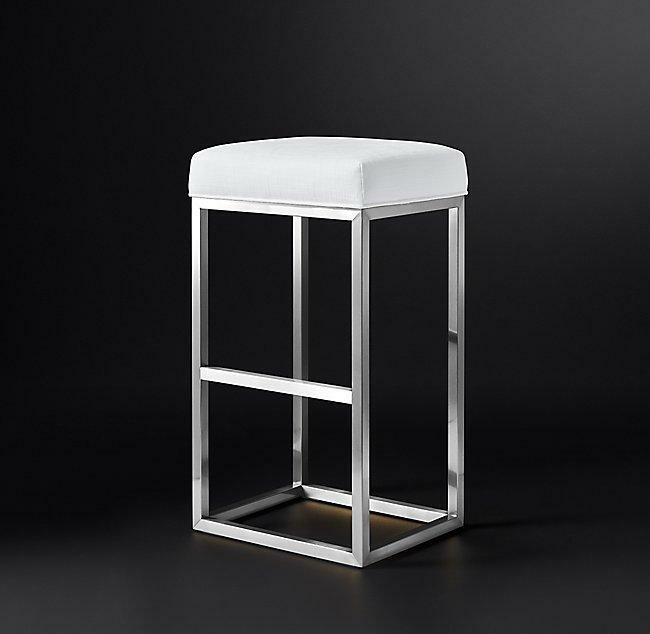 RH Modern’s Rome Fabric stool offers understated elegance and is available in three different finishes and a range of fabric options. 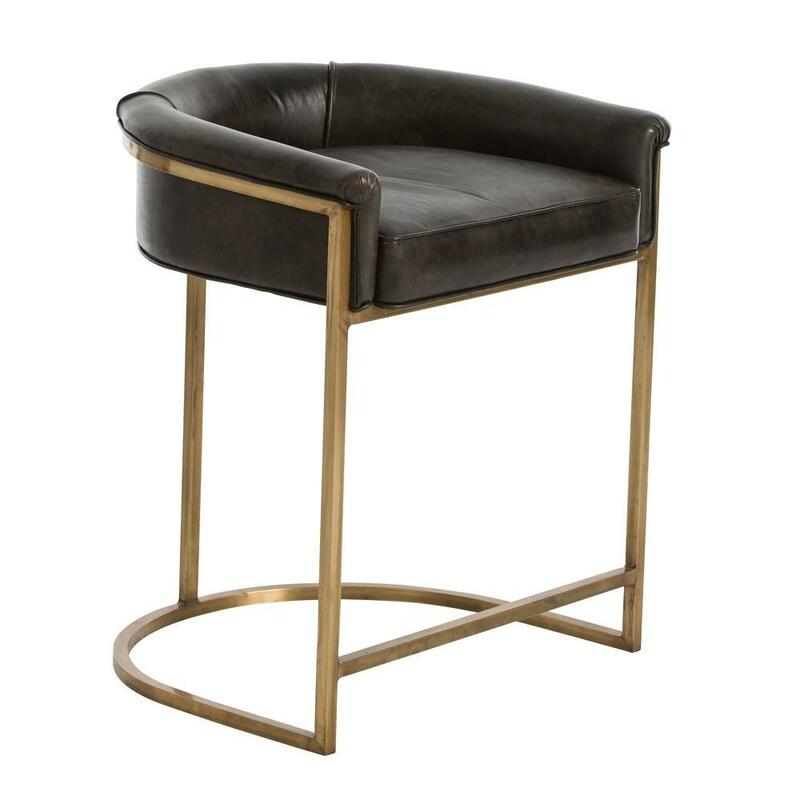 Arteriors Wyndham Swivel Stool adds great dimension with its dynamic and energetic design. 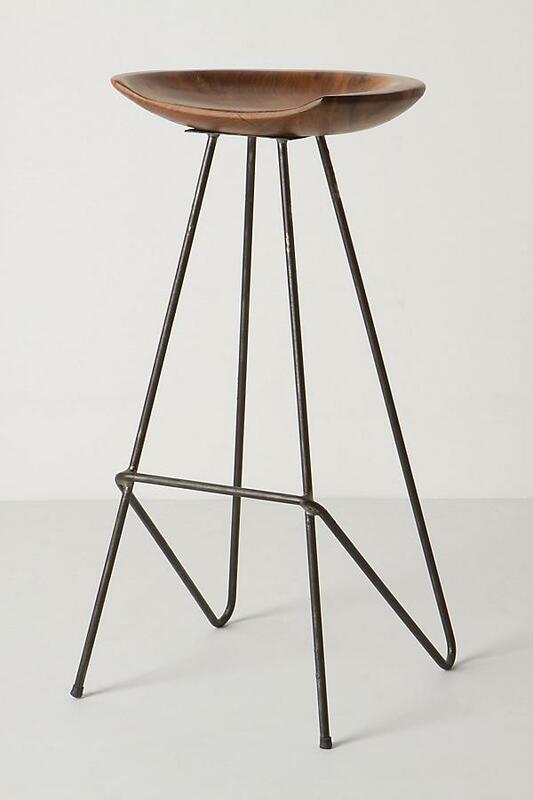 We love Anthropolgie’s Perch Counter Stool for its sculptural appeal! Love the wood mixed with the metal and the unique shape of the legs! Industrial design at its best! 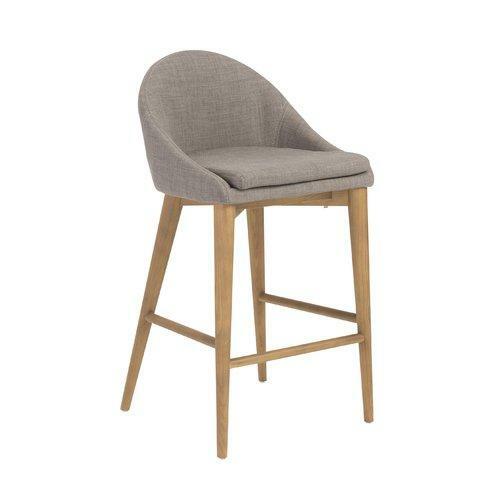 Looking for a splash of color, Grandinroad’s Julien bar stool comes in 17 different, bright hues!